Medium Density Overlay (MDO) and High Density Overlay (HDO) Plywood (also called signboard) are engineered wood panels, originally designed for sign makers. However, they are gaining popularity for other purposes. 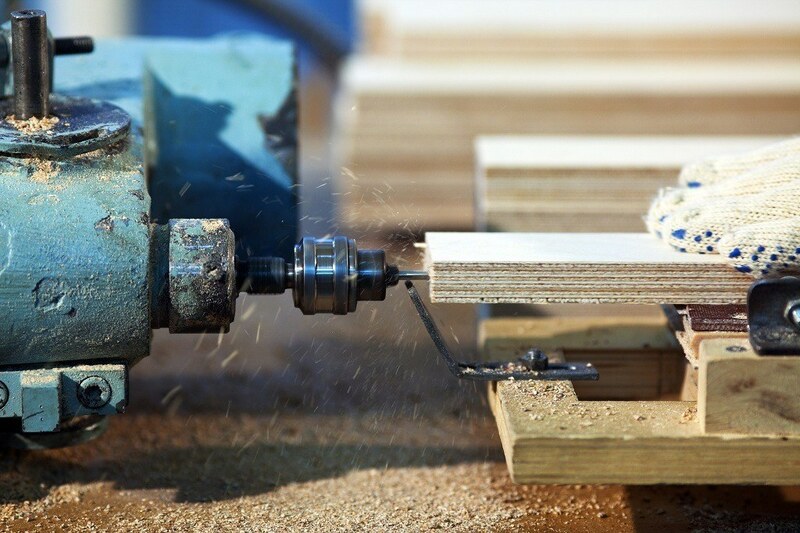 Cabinetmakers are beginning to see the value of these engineered woods and use them. They are also excellent products for jigs and cement forms. Both MDO and HDO are hardwood plywoods with a resin soaked fiber overlays between the veneer layers and on both surfaces. The top veneer layer on both sides is “A” grade, providing for an extremely smooth surface, without voids, to apply the fiber overlay. The resin-soaked fiber overlays are applied with heat and pressure, forming an extremely strong, extremely flat and extremely smooth engineered wood product that is waterproof. The only differences between the two products are that the density of the exterior fiber layer on the HDO is considerably higher than for MDO and it is manufactured with higher resin content. MDO and HDO are both available in a variety of thickness, including 3/8”, 1/2”, 5/8”, 3/4” and 1”. Standard sheet sizes include both 2 and 4 foot widths, and lengths of 8’, 10’ and 12’. When used for cabinetmaking, MDO panels provide an excellent, very flat surface that accepts paint very well. The resin impregnated fiber layer adheres well to paint and eliminates the need for priming. Unlike many other materials, cut edges are still highly water resistant, with the added benefit of being easily painted, fully sealing the edges against water. HDO plywood was originally created for use in making highway signs where reflective material is attached to the surface of the sign. To make a more durable sign, it was decided that a more robust resin layer was needed in order to provide a better surface for attaching the reflective material. These materials are not as commonly available as softwood plywood. Consumer building supply centers normally will not carry them, but lumberyards that cater to professions probably will. MDO plywood costs about half the cost of Marine plywood, or about twice the cost of softwood plywood; HDO is slightly higher. Because of the thin veneer layers alternated with the resin impregnated fiber layers and greater weight, MDO and HDO have proven themselves to be an excellent materials for machining. Routed edges are extremely stable, without splintering and splitting. However, due to the high fiber and resin content, these materials are hard on saw and router blades. You should definitively use carbide tipped bits and blades; otherwise, expect to resharpen them more often than with other engineered wood products. Both MDO and HDO plywood have gained wide popularity for making concrete forms. MDO plywood functions well for one time cases, where a special form is needed that won’t be reused. However, for standard forms that are to be reused, the extra expense of HDO will provide for a much longer-lasting concrete form.